Multimedia integration has become an integral piece of content marketing in the digital space. A player in the game for a long time now has been YouTube, as creators on the network have been able to connect with an audience through video in a variety of wildly successful ways. Naturally, brands have been fleshing out what this means for their platform and the strategy behind their video content. Where business tends to fail in this space is not considering the context of where they’re uploading. YouTube has been known for being the home of cat videos, cover music, introverts in their bedrooms and the latest viral sensation—a very casual environment. The standard for content is naturally increasing as we see more feature films distributed and support for 5K quality, but its origins have left a mark on what the true cadence of YouTube is. Considering both quality and context means that a video done well doesn’t come down to the choice in camera or whether you’re going to incorporate professional editing. It’s all about formula of execution. The following items are the pieces I’ve found to be the most critical to include in your YouTube video formula. Think about the last time you watched a YouTube. You saw the headline, were interested, and clicked play. But if something doesn’t happen early in the video, if something doesn’t hook you, you’ve clicked out without a second thought. Eight seconds is the average length of time that a viewer lasts before they decide whether they’re going to be interested in a video enough to make it through a good duration of it. If you do not respect the very beginning of the video and think clearly about what your audience wants to see, you will not be favored in search. Audience Retention is the metric that tracks this activity. No matter how perfect your copy and optimization strategies are, if you have a lower than average audience retention rate on a video or over the archives of a YouTube channel, you will be devalued in search. Give it all way quickly. One way to stay on the right side of the Eight Second Rule is to make sure you put your subject front and center first. That could be a person’s face (the best option), a voiceover, or a combination of things, including a product you may be reviewing. Put it all up front. By doing this, you offer the viewer hope that you’re going to get to the content quickly because they see what they clicked to learn more about from the first second. Deciding to start with a title sequence—especially one that’s ridiculously long and over-the-top with graphics and music—is a great way to set things off in a very unrelatable way. People don’t like logos. They like people. Or they at least like you to get to your point. Ditch the 15-second intro. Here’s a crazy idea: Save your introduction for the end of the video. Use a graphic to offer your name and company in the early moments of the video as a compromise. Think about when you went to ask your friend for advice about something recently. They didn’t introduce themselves first. If you treat your viewers like they’ve always been watching and dive straight into the content from the beginning, they’re very likely to care more about who you are, what you do, and how they can subscribe once they’ve had that opportunity to soak up the information. Treat them like they’ve been loyal, and they will become loyal quickly. A big barrier to entry of video for a lot of people is thinking that the person on camera must have been born a ham or TV star. It’s actually not true. But if you still have a hard time with that, it’s more of an issue of treating a camera like a piece of equipment and less like a medium to deliver your message. Until you look at a lens and visualize your audience, it’s not going to come through as the personal connection you need it to be . You know your content, and you could talk about it all day if you saw a potential customer in person. Allow that side of you to come through on camera. Avoid the script, and just talk. Following a bullet-pointed guide and giving yourself chance to have a real moment on camera about what you’re passionate about is by far the best way to represent yourself on YouTube. If your video needs to be under four minutes, than make sure you saved 30 seconds for your call-to-action. Remember that introduction I told you to forget about earlier? Bring it in now, and tell the viewers while you’re on camera what they should do next. Now that you’ve delivered a ton of value, they want more details about you and how they can stay tuned. If you leave it all up to graphics and instructions in the description section, it’s a missed opportunity. Make sure you verbalize the call-to-action, and you’ll be pleasantly surprised at how YouTube can be an amazing referral source for your online assets. The bare bones of a successful piece of online video content are simple, but now you get the opportunity to enhance the experience with the message that you’re specialized to share. 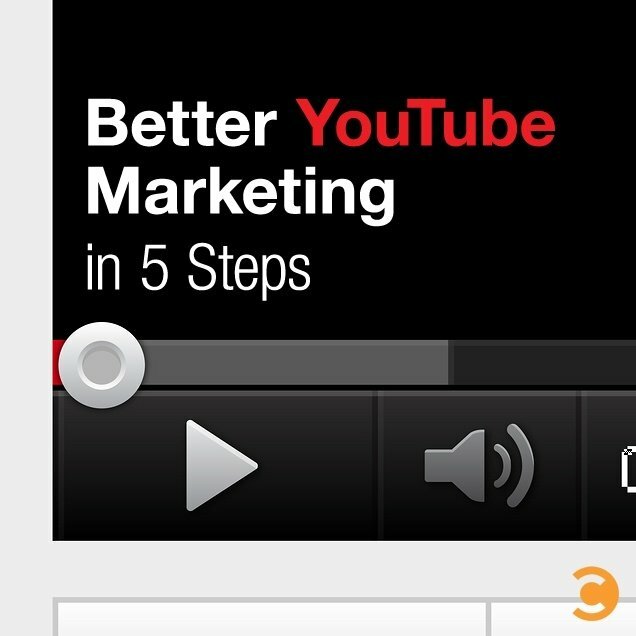 Own that space, and customize it for your new brand advocates on YouTube. Continue the conversation on our Facebook or Google+ pages, and get 10% off Amy’s new live event by registering today and using the code CONVINCE.